Al Hoceima, Morocco, Oct 30, 2016 (AFP) -Thousands of Moroccans on Sunday attended the funeral of a fishmonger whose gruesome death in a rubbish truck crusher has caused outrage across the North African country, sources said. Mouhcine Fikri, 31, was crushed to death on Friday in the truck in the northern city of Al-Hoceima as he reportedly tried to protest against a municipal worker seizing and destroying his wares. An image of his inert body — head and arm sticking out from under the lorry’s crushing mechanism — went viral on social media, sparking calls for protests nationwide including in the capital Rabat. Footage online showed thousands of people following the yellow ambulance that carried Fikri’s body through Al-Hoceima in the ethnically Berber Rif region on Sunday. The procession was led by a dozen drivers in their cars — including taxis — and marchers waving Berber flags. The ambulance headed to the area of Imzouren some 20 kilometres (12 miles) southeast of the city, where Fikri was buried in the late afternoon. The exact circumstances of his death remain unclear. But a human rights activist told AFP that the authorities forced the fishmonger to destroy several boxes of swordfish. Catching swordfish using driftnets is illegal. 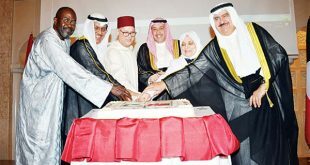 “The goods were worth a lot of money,” said Fassal Aoussar from the local branch of the Moroccan Association of Human Rights (AMDH). “The salesman threw himself in after his fish and was crushed by the machine,” he said. Long neglected under the father of the current king, the Rif was at the heart of Morocco’s protest movement for change in 2011, dubbed the February 20 movement. Thousands of demonstrators — including activists for Berber rights — also gathered in Rabat, chanting “We are all Mouhcine!” while smaller protests were held in several other Rif towns and in the city of Marrakesh. 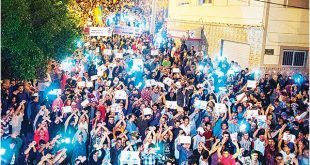 Earlier, a demonstrator in Al-Hoceima demanded a proper investigation into the incident to “find those who did it”. In a statement on Sunday, the AMDH condemned the state for “having trampled on the dignity of citizens since the ferocious repression of the February 20 movement and keeping the region in a state of tension”. It warned of a “possible repeat” of the 2011 protests in the Rif, just a week before Morocco starts hosting international climate talks. 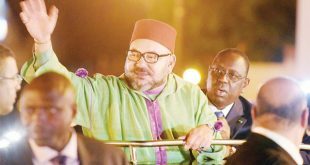 King Mohammed VI has ordered a “thorough and exhaustive investigation” into Fikri’s death and the “prosecution of whoever is found responsible”, an interior ministry statement said. 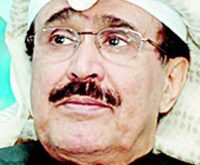 The king — who was in Zanzibar on a tour of East Africa — sent Interior Minister Mohammed Hassad to “present his condolences” to Fikri’s family, it said. It was the self-immolation of a street vendor in Tunisia in late 2010 in protest at police harassment that sparked Tunisia’s revolution and the Arab Spring uprisings across the rest of the region the next year. 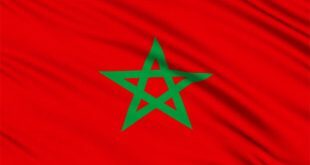 Morocco is due to host the COP22 climate talks in Marrakesh from November 7 to 18.